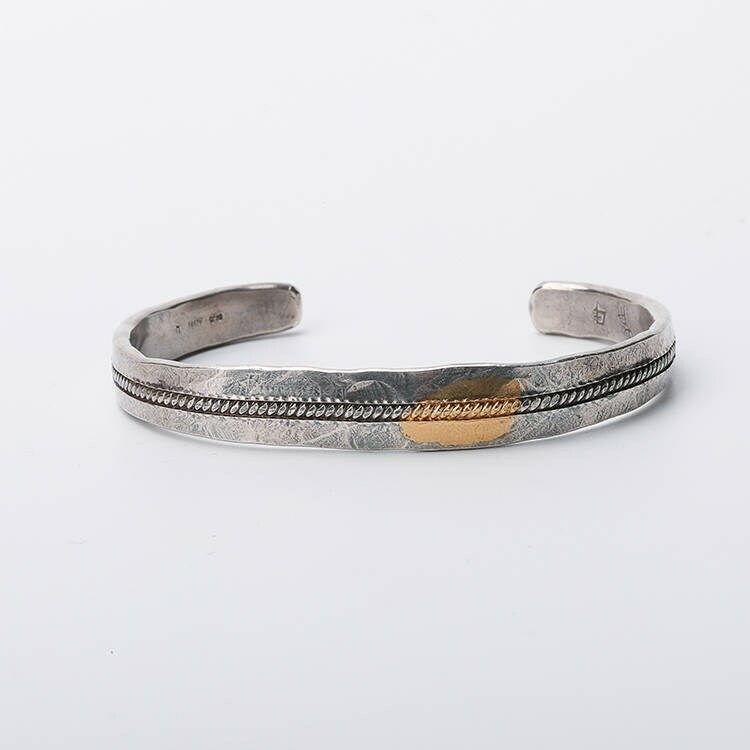 This men silver bangle is a beautifully minimalist bracelet design - handcrafted in 925 sterling silver, with a 24K gold inlay pattern. 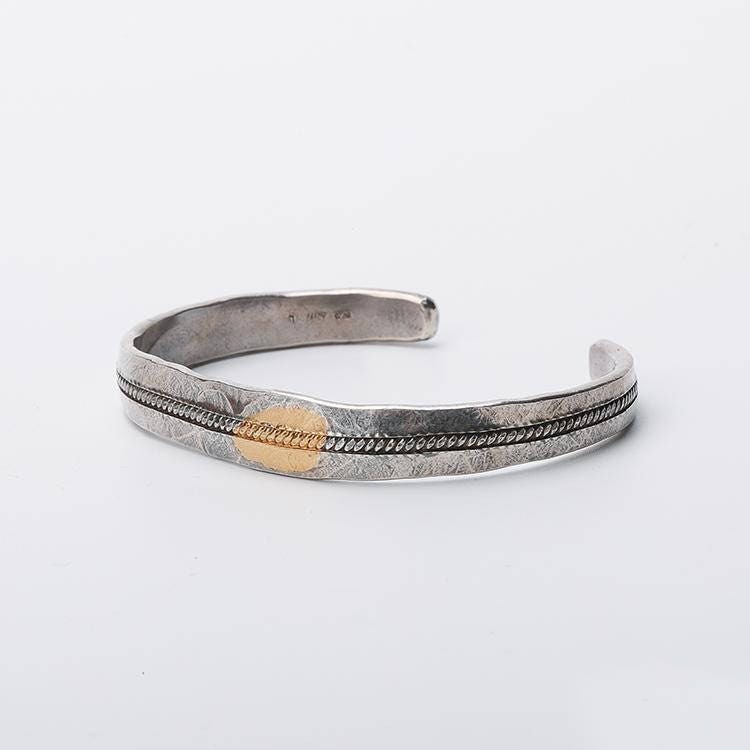 Look closely, and you will find that the texture resembles that of the bark - the texture recreated by careful hammering of the silver bangle. 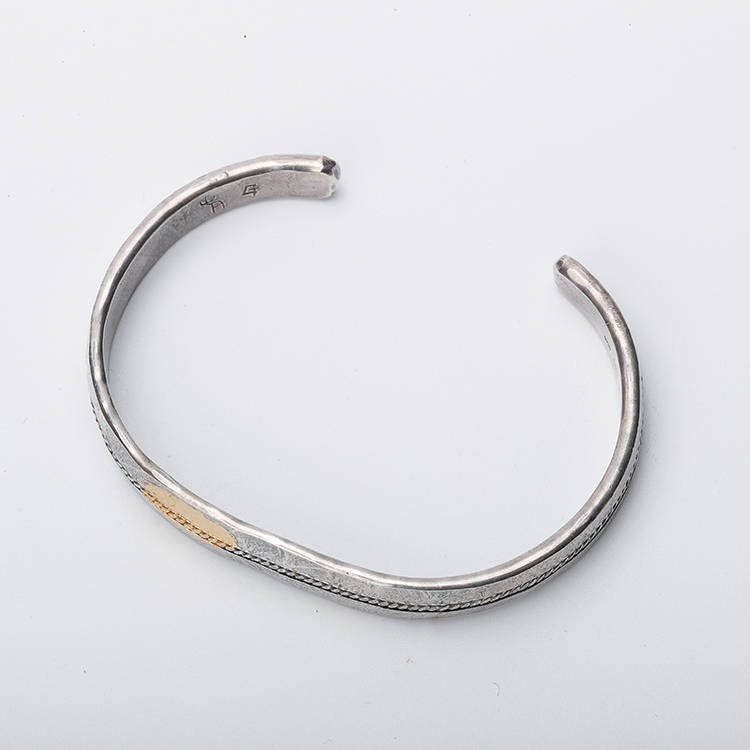 A 24K gold inlay at the top adds a little bit of spice to the plain silver bangle. 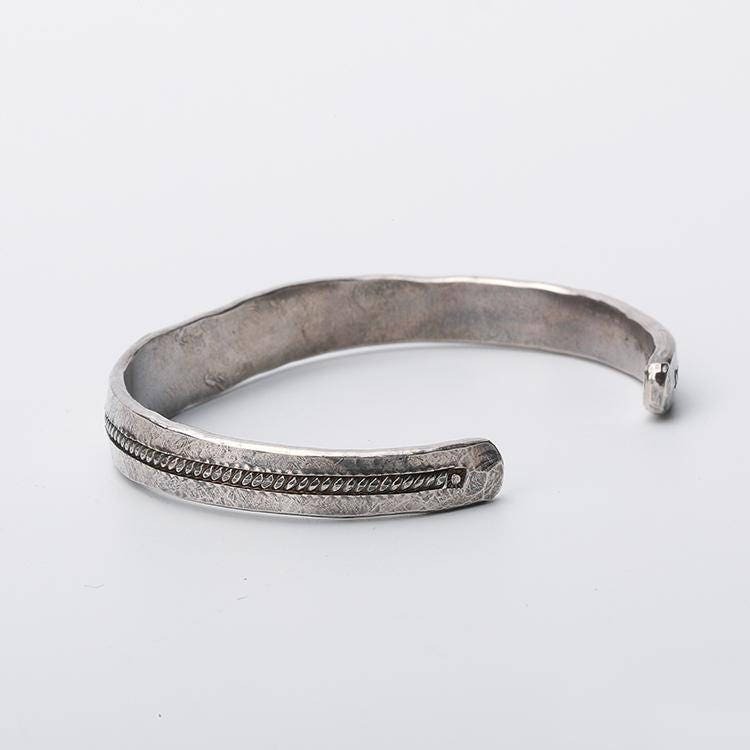 Material: 925 sterling silver, 24K gold/ AU 999. 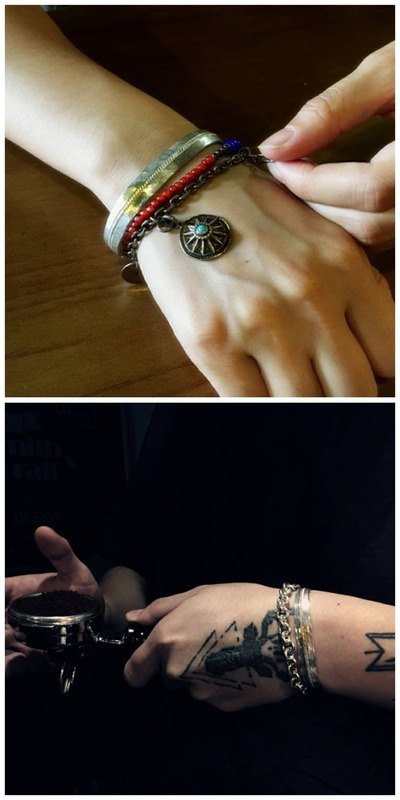 Width: 7-10 mm/0.28-0.39 inch. Thickness: 2.5mm/0.1 inch.